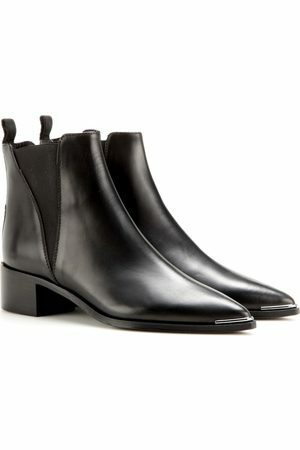 Acne is offering a refined, functional aesthetic that speaks to the new generation with these heeled ankle boots. These sensual, uncomplicated shoes are a reinterpretation of the Chelsea boot designed for the modern woman. Slender lines are here paired with smooth, shiny calfskin leather. These ankle boots also have a boot heel for a confident look and lengthened figure.